Provided you have active maintenance, this update will be free. If maintenance is not in place on your serial key, you will need to renew it to acquire the new version under a valid license. Please note this new build also now includes a much requested PDF-XChange Editor PORTABLE version ! If you have any questions or concerns, please send an email to support@tracker-software.com and we will be happy to assist you in any way we can. *This might not be available, or up to date directly after the release. 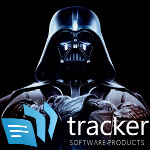 If you find that this is the case, please report it to support@tracker-software.com or try again later.